Golden sand dunes separate this hotel from the marvelous unspoilt beach of Primorsko. 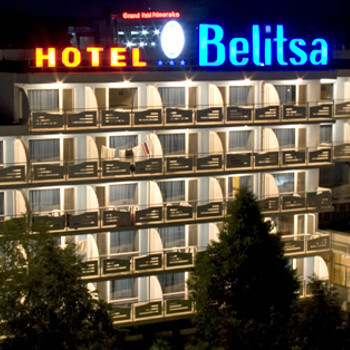 Hotel Belitsa is located within its own private park grounds and offers comfortable accommodation in relaxed surroundings. The resort centre is approximately 500 metres away. This is the second year we have stayed at this hotel its a good hotel with great staff and good clean rooms .If you give the room cleaner a few lev that look after you very well ie towels and clean sheets every day .